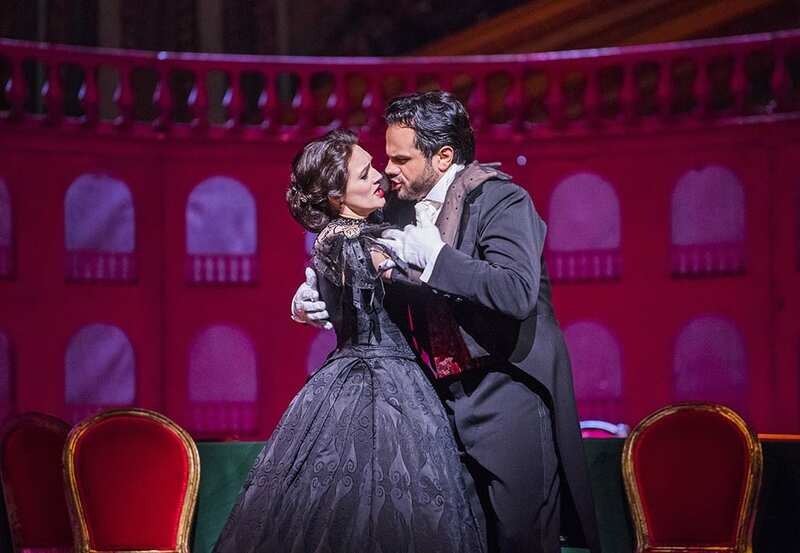 The most celebrated and much loved fallen woman in the history of art and literature is brought back to life in this 14th revival of Richard Eyre’s classic production of Verdi’s most ‘realistic’ opera, La Traviata, overseen by Barbara Lluch, performed to a full to capacity House. 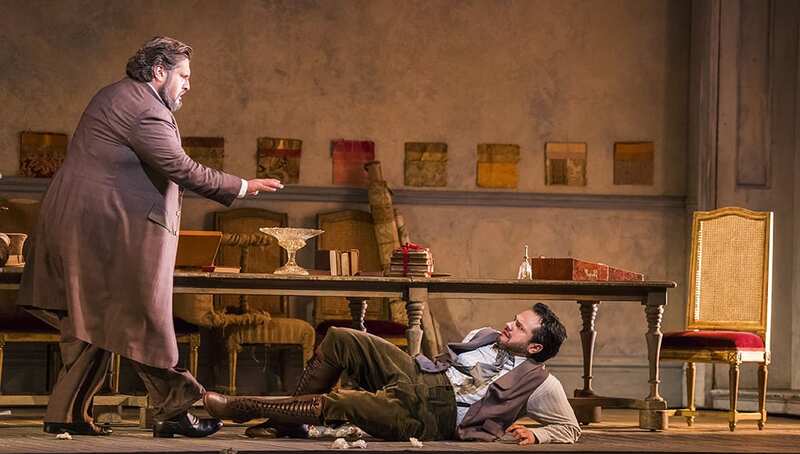 The superbly crafted prelude, a musical picture of the heroine, played by the Royal Opera House orchestra under the baton of Maurizio Benini, gently yet movingly conveys the three-stages of Violetta Valéry’s life. Eyre’s direction introduces her peasant descent through two childhood images, projected on a screen that dominates the stage. The song-like melody accompanies the first projected image of a beautiful innocent child, the second image of a wilder looking, poverty stricken teenage-girl. She is replaced by the anguish that pours with high, chromic strings dissolving into ‘lamenting’ appoggiaturas, a musical rendering of Violetta’s decline in the final Act. Once the romantic melody is introduced, the image of the young girl is replaced by the distant view of Violetta reclining in an elegant white dress, ready for her party and guests. 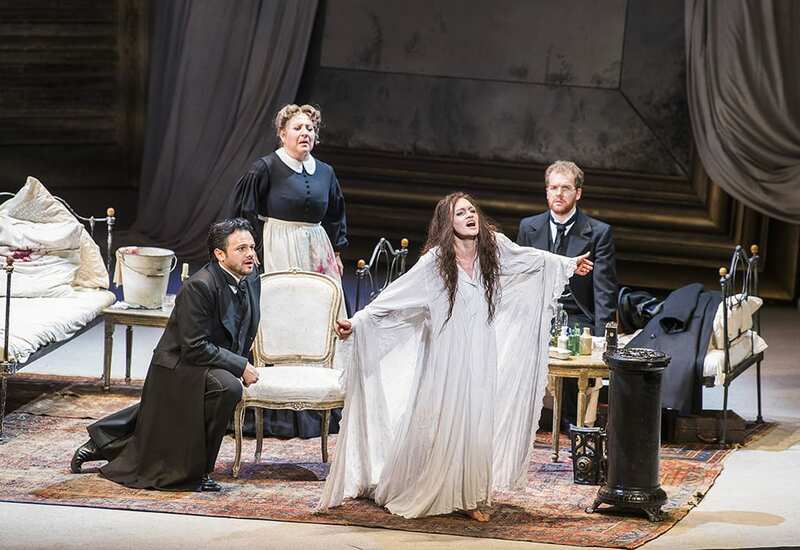 Verdi creates drama through music and Eyre’s production, albeit traditional, explores and teases out the dramatic elements with a cast that largely excels in theatrical and musical drama. Francesco Maria Piave’s libretto to this most intimate of Verdi’s operas, is inspired by Alexander Duma fils’ play La Dame aux Caméllias, itself based on the true story of the courtesan Marie Duplessis. 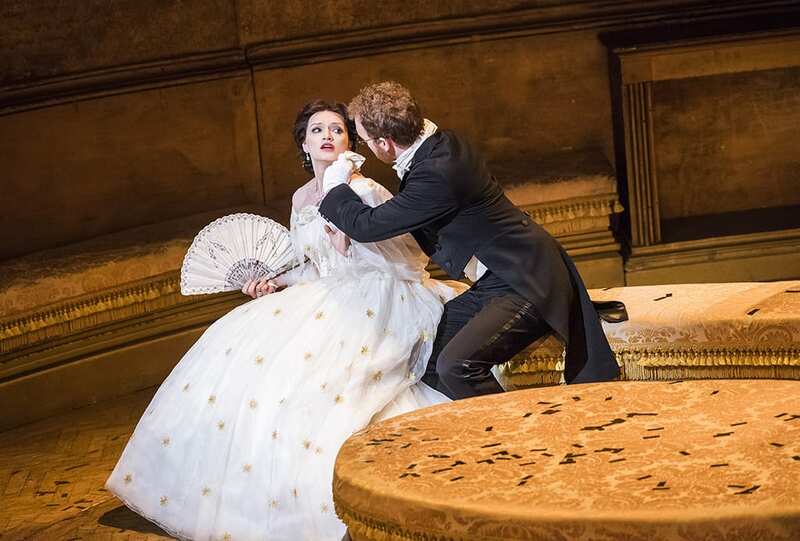 Ekaterina Bakanova’s debut as Violetta at the Royal Opera House was in 2015 at an hour’s notice when the leading soprano was too ill to appear. The crowning success of that performance has paved the way for her role in this production. Bakanova’s free-loving Violetta, is frail yet resolute. 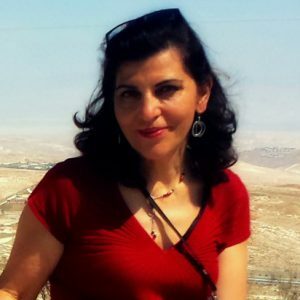 Her approach to the character is a fine balance between confident, beautiful and fun loving, and a woman in need of affection, warmth and love. 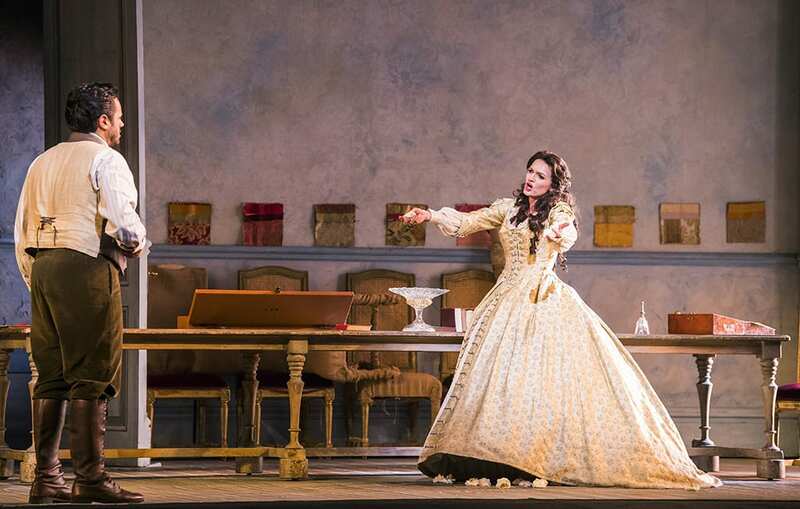 Her singing is delectably mellifluous, with the virtuosity that the bravura role of Violetta requires. Atalla Ayan’s Alfredo Germont, adequately conveys the romantic yet shy and hesitant young admirer who grasps the first opportunity at the party to declare his love for Violetta in ‘Un di felice eterea”. His fine singing surpasses his dramatic performance. Throughout the three Acts, the encounter between Ayan and Bakanova complement each other vocally and dramatically. The baritone, Nicola Alaimo, in the role of Giorgio Germont, Alfredo’s father, is limited in the acting department. He seems to spend most of his performance sitting and singing or standing almost motionless while singing. He has the weight to impose presence and an impressive voice to carry the part but unfortunately his voice is drowned out by the orchestral participation. In ‘Dite alla giovine’ he is inaudible while Violetta’s trepidation and terror of what he is asking of her, are powerfully conveyed, somewhat compromising the poignancy of the situation. A special mention must be made of the brief, yet effective appearance of English bass David Shipley’s Doctor Grenvil, Violetta’s doctor. Watch out for this singer. He is exceptionally talented. Cast includes: Ekaterina Bakanova, Attala Ayan, Nicola Alsimo, Angela Simkin, David Shipley, Gyula Nagy.